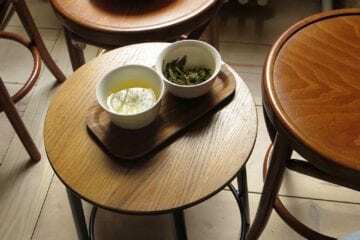 During a year of exploring the charming streets of Munich, I have stumbled across all sorts of cafes. 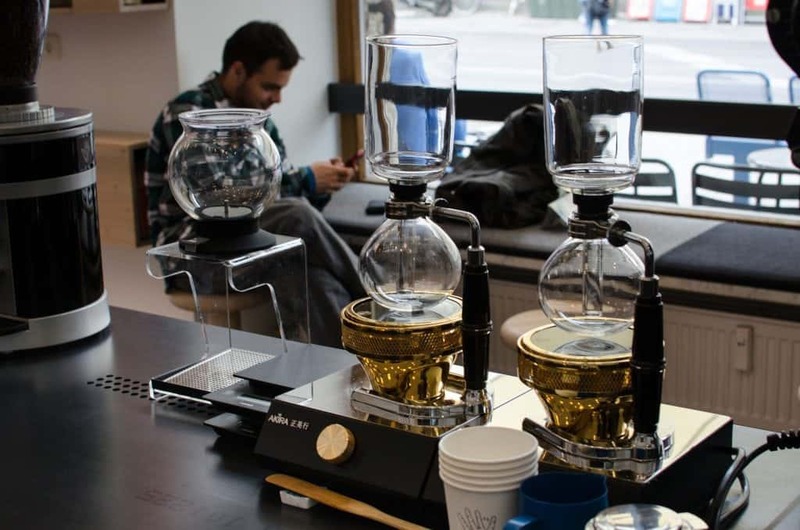 I have to admit that the specialty coffee scene in Munich does not resemble at all the hip and bustling 3rd wave movement in large cities such as Berlin or London. Such buzz just does not go with the slow-paced way of life around here. 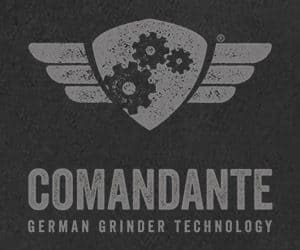 But the specialty coffee aficionados living in or visiting Munich shall not despair, the gems of the industry are here, although maybe a bit hidden. Read along and you will know where to find them. 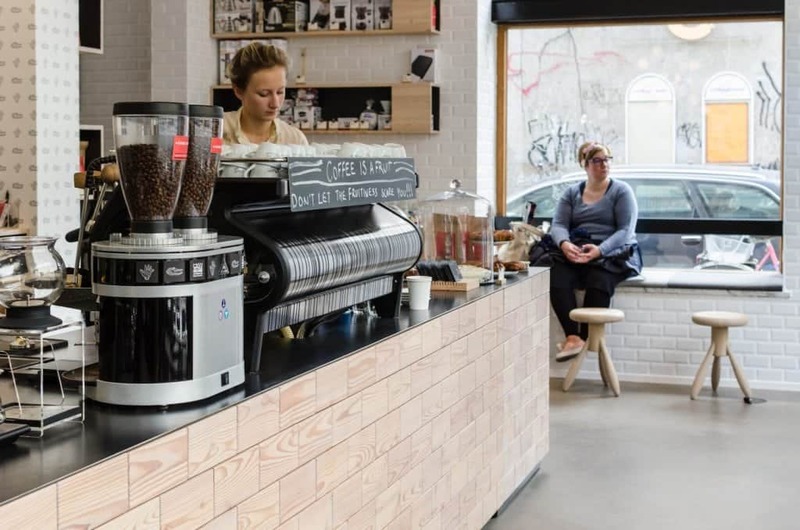 The Glockenbach district itself is a little gem to be savoured, but for a friendly contest between crafty baristas and a shiny La Marzocco Strada head to Man vs. Machine at Muellerstrasse 23. 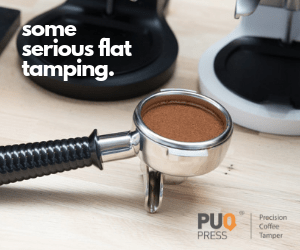 Take your pick and delight your taste buds with a fruity explosion of flavours brewed by “the man” through your method of choice – V60, Aeropress, Kalita and even Syphon – or trust “ the machine” to extract the perfect espresso shot for your beverage. 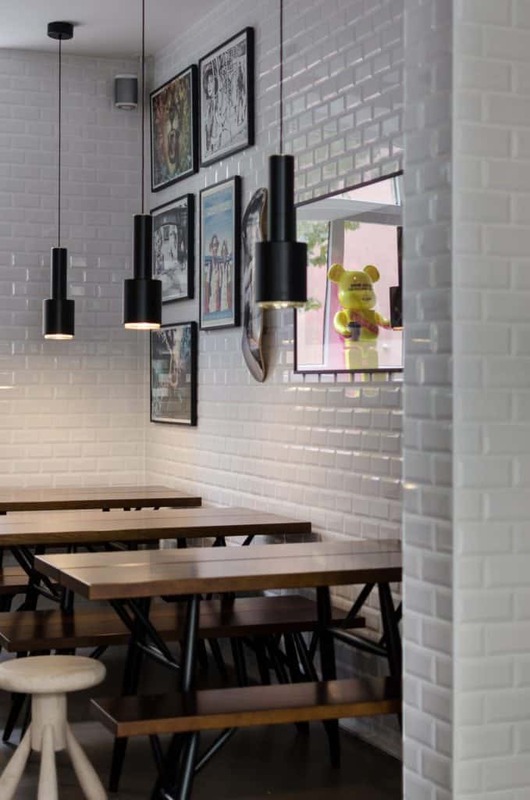 The venue is compact and tastefully decorated with Scandinavian elements and juxtaposed artwork. Such contemporary trend, in combination with the fruity light roasted blends from the hands of Marco, the owner, attracts a clientele of mainly, but not only, tourists and students. When you combine knowledgeable staff and their friendly service with outstanding coffee roasted on site, you are certainly on the path to success. A clear example is that after less than two years these guys are opening a new branch in August, near the university grounds. 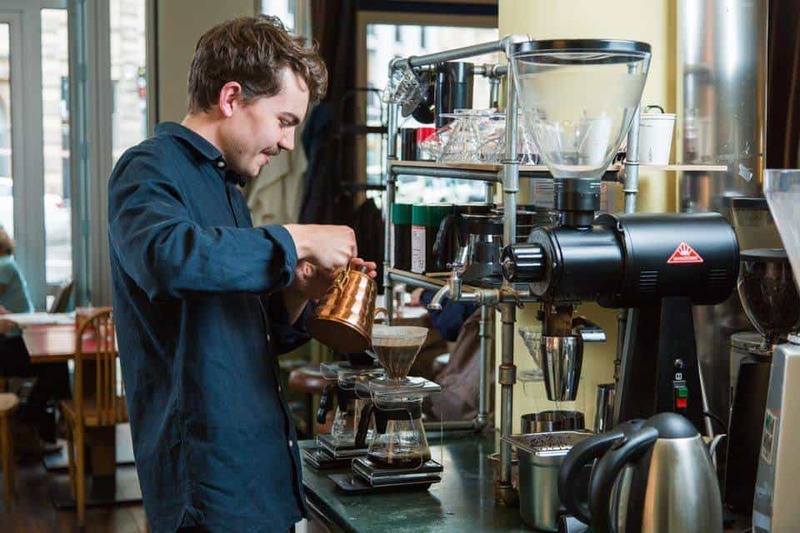 And while his peers prepare themselves to take over this other side of town, David Train, one of the baristas at the cafe, gets ready to take compete for the first time at the Brewers Cup in November. 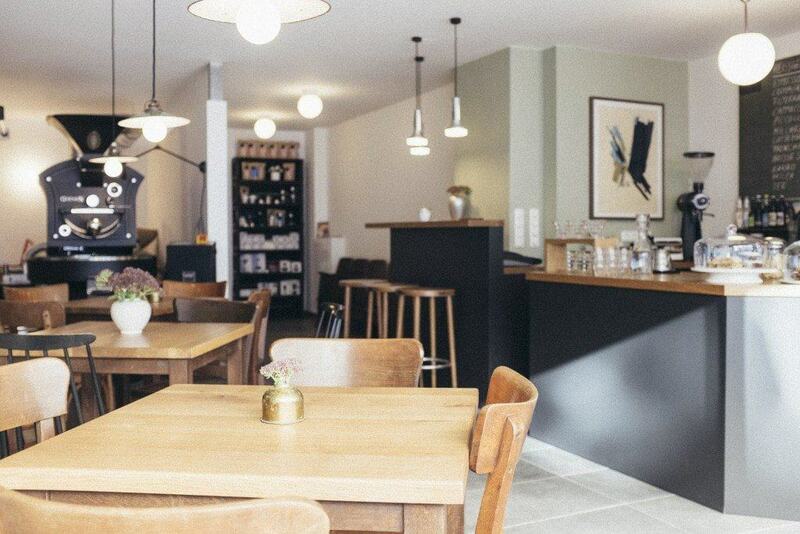 Vits der Kaffee, one of the pioneers on the Munich coffee scene, is to be found nearby Man vs. Machine cafe. By the looks of the place you would not guess it is a 3rd wave coffee shop. The pastel shades and relaxed setting might have you a little puzzled. You would think you just entered a restaurant. Don’t let your eyes trick you though. Instead, be enticed by the aroma of coffee being roasted in house, and sit down to experience specialty coffee at its peak. Vits der Kaffee is probably the only place in town where specialty coffee lovers can grab a bite to eat while savouring their brew. Such a unique point makes it quite attractive for the residents and office workers wanting to take a break from their daily chores. They come here for a little bit of “Kaffee und klatsch” aka coffee, cake and gossip. 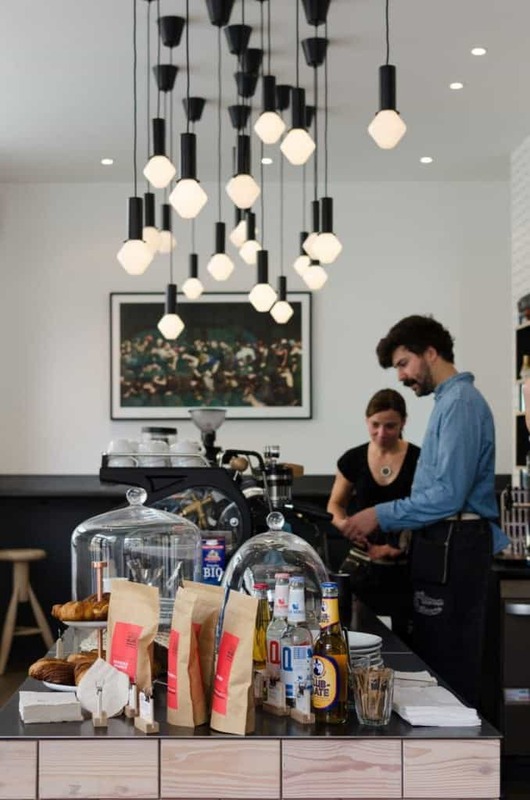 The unpretentious approach of the baristas at Vits is certainly a clever strategy for a specialty coffee shop trying to make it in a city where tradition takes the front seat and the Italian way of drinking coffee is still preferred by most. 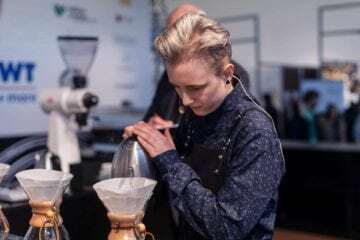 According to Wolfgang Helmreich, one of the finalists at the Tirol International Championship and the barista behind the roasts sold at Vits, the interest in the peculiarities of coffee is growing in the city but lasting changes take time. 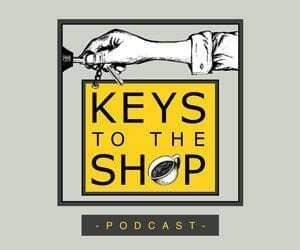 “There's nothing wrong with the old ways, we just need to pick people up from where they are and show them what coffee can be, and if we do that by telling them what they are doing is wrong the conversation will not go very far.” Noted Wolfgang, after a few sips of a Kenya Nyeri brew. If the attendance at the coffee seminars held every week at Vits is anything to go by, specialty coffee has indeed a bright future in Munich. Standl 20 is where specialty coffee meets cuteness. Nestled amongst the fruit and vegetable huts of the charming Elisabethmarkt in Schwabing, this cafe has been around for just over a year. 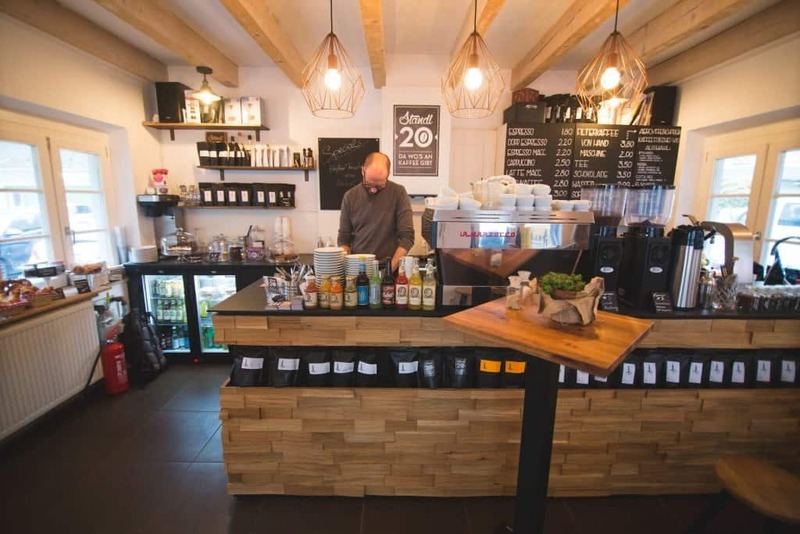 The tiny hut’s distinctive flair has earned it a nomination for this year’s Fizzz award as Germany’s most creative cafe concept, however Standl 20 is not just pleasant on the eyes, its main player is, of course, specialty coffee. 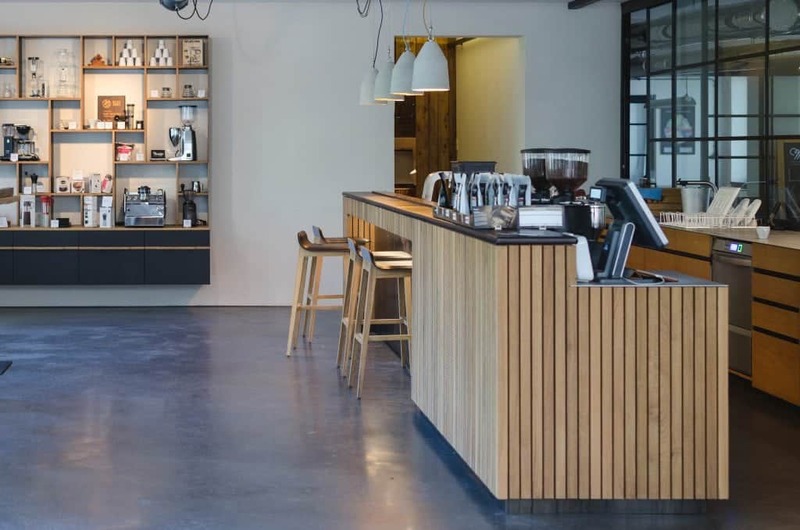 The simple fact that the cafe showcases the highly regarded works of JB Coffee roasters, whose owner is also a partner at Standl 20, attracts the coffee nerds of the city. Yet its offbeat location means that many of its regulars are the laid-back citizens of Schwabing or passers-by strolling the market. 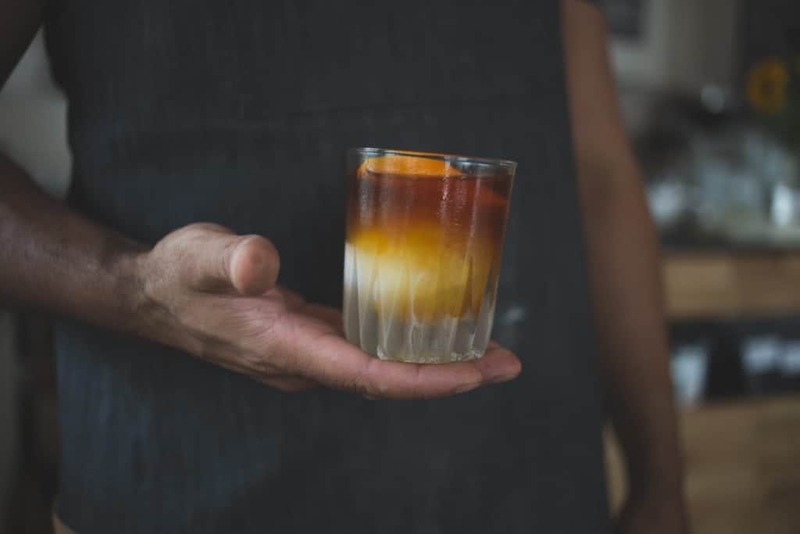 In an attempt to create a bridge between the baristas, amongst whom is the current winner of Coffee in Good Spirits Timor Kauffman, and the classic coffee drinker, JB roaster developed the Standl 20 espresso blend. With a hint of fruitiness and a good body, the house blend aims to open the customer’s eyes to other facets of coffee without scaring them away back to the dark shades of coffee. 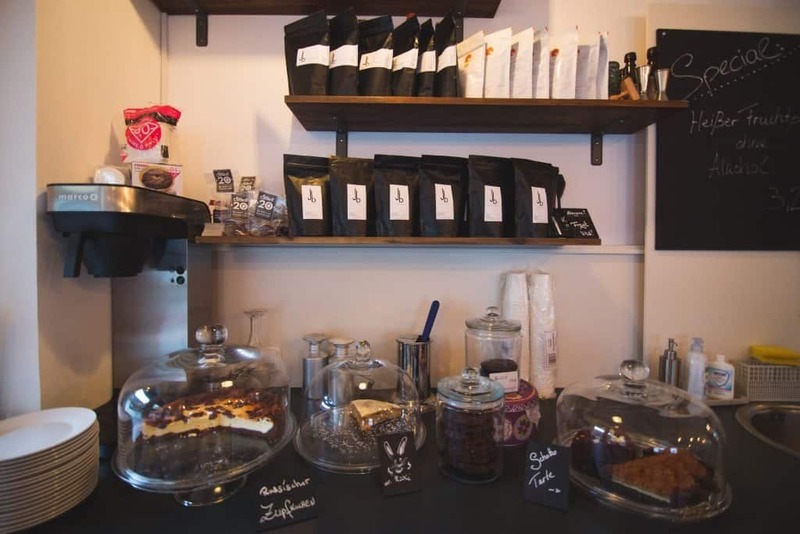 A selection of homemade cakes compliment the outstanding coffee but the highlight of my visit was Toni – the other partner – and his team’s approachable attitude and their mind-blowing coffee lemonade! I must rush back before the summer comes to its end! 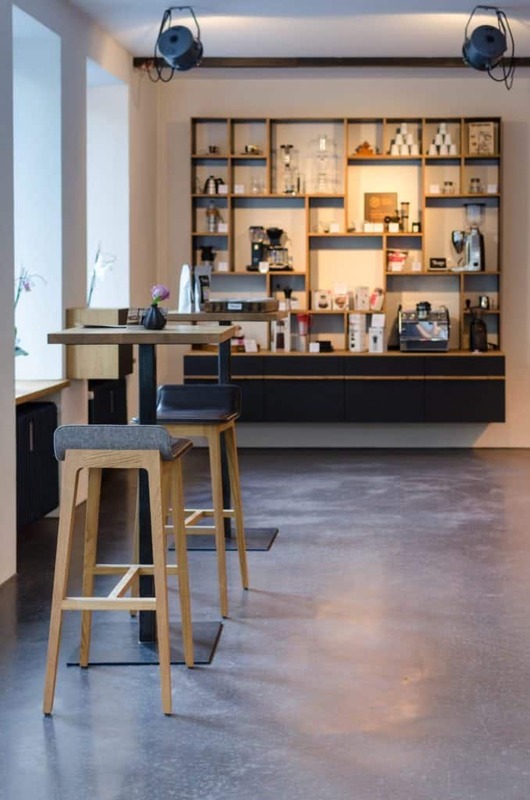 Probably the latest addition to the specialty coffee stage in Munich, Gang und Gaebe goes for a casual yet somewhat elegant look. 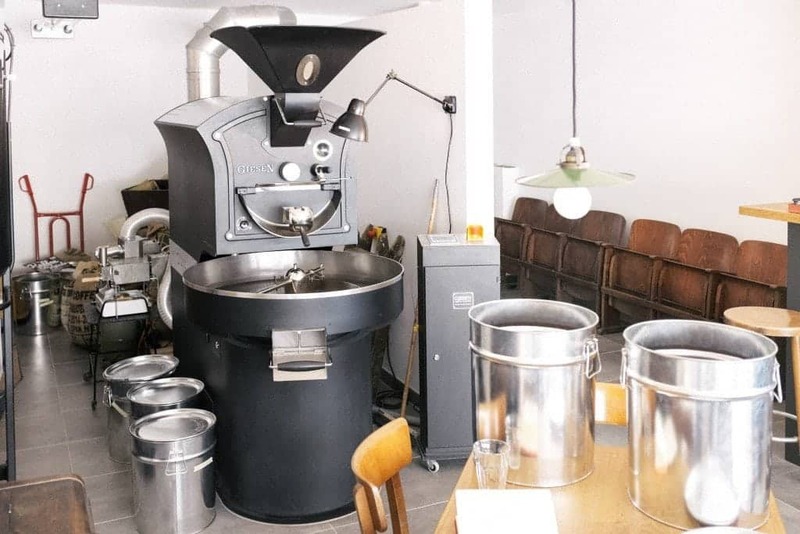 And the towering Giesen roaster standing at the back of the shop unquestionably complements the décor. Andreas Postrach lived in Ecuador after college. 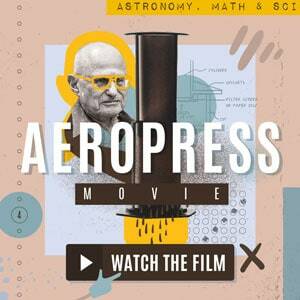 There he gained a first-hand experience with coffee at the early stages of the process. Such close contact with the farmers and the social-economic impact of coffee on their lives changed Andy’s perspectives. 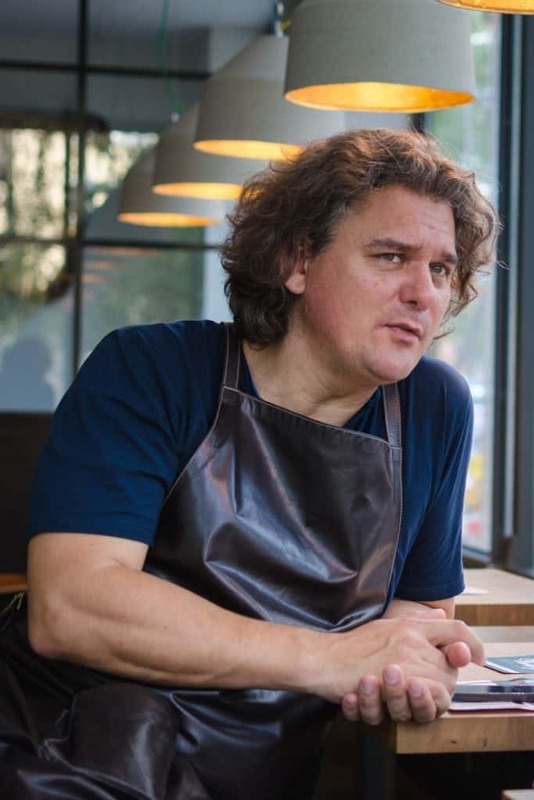 Upon his return to Germany, he learned all he could about coffee and last November started brewing his own roasts at his cafe. All aspects of the business are run by Andy himself which means the service is not as speedy as some may prefer but customers at Gang und Gaebe do not seem to mind. Swayed by a classy selection of jazz, fellow coffee drinkers were either chatting away or immersed in their books, computers and smartphones. 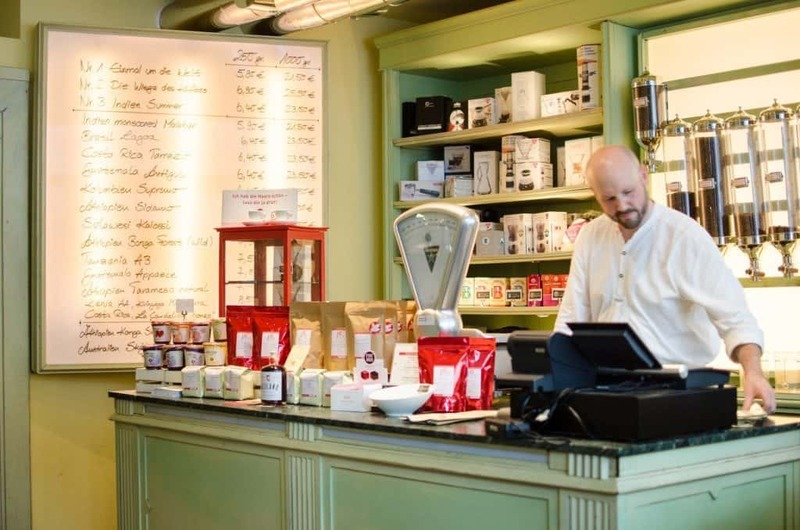 Although last on this list, Mahlefitz is probably the first name that comes to mind when you think of specialty coffee in Munich. 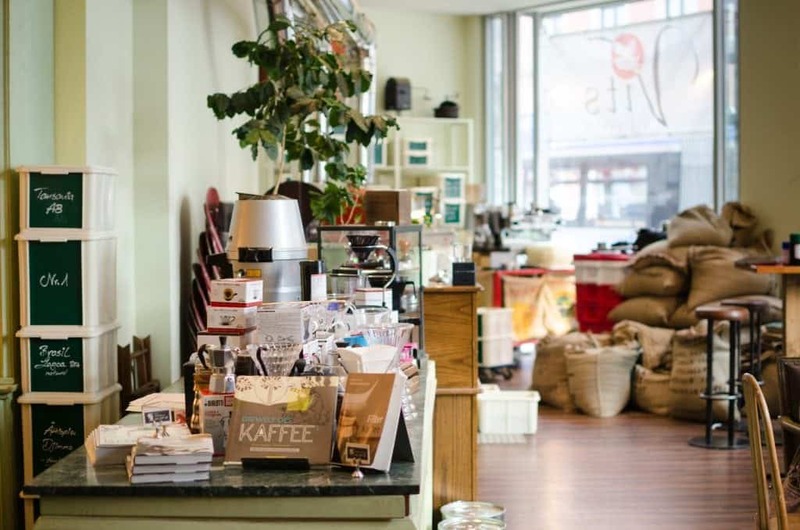 Brewing and roasting for nearly three years, the cafe is undergoing a transitional period since the co-founder Sebastian Loesch left the business recently. The remaining partners’ hands on approach and diversified vision assures that the business will continue to thrive. 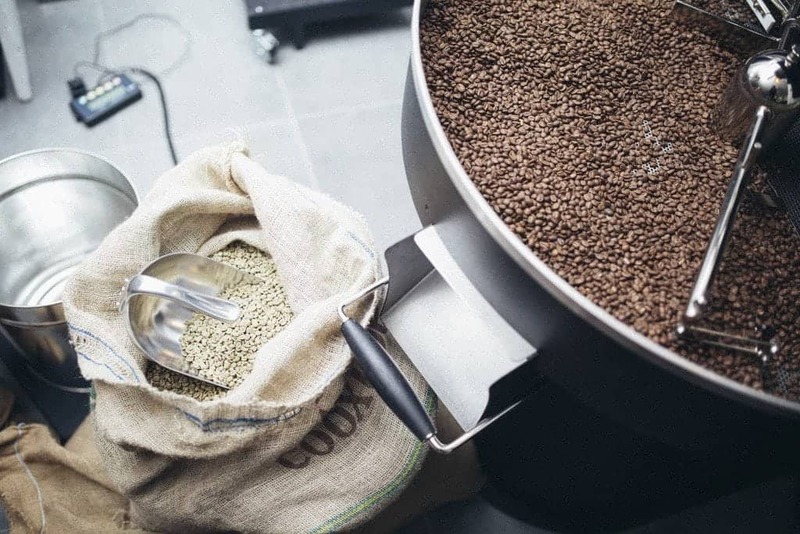 The high standard beans and the light profile of their roasts have definitely given them a good reputation, with beans being sold in many locations around Europe. 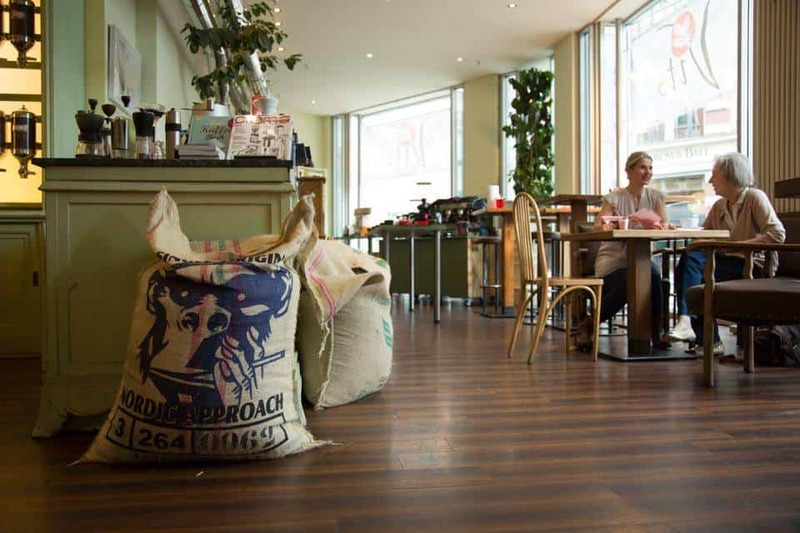 In this modern and sleekly decorated venue the team still welcomes coffee connoisseurs from all around Bavaria. 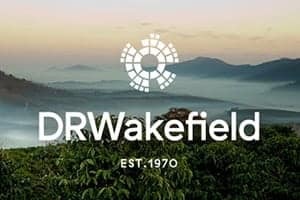 “I want to supply people with recognisable coffee, the type that years down the line is still stuck in their memory.” says Peter. Undoubtedly, the upcoming gastronomic take off the cafe by offering vegetarian/vegan light meals will appeal to a wider audience. 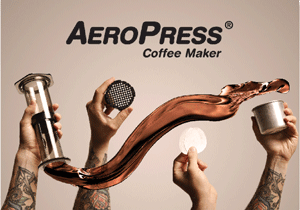 The lingering question is whether this will compliment their specialty coffee or take them on a new route. 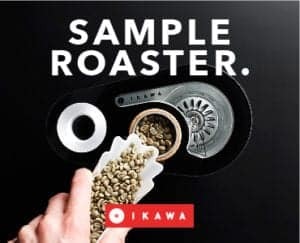 I will surely be heading back to check it out with hopes that coffees of the likes of Panama Berliner are still the star of the show, enhanced by the promising supporting cast. Nayara Vieira is a coffee enthusiast, learning and drinking it in Munich and wherever she goes.